How Far is Lodha Codename The Only? Lodha Codename The Only, a residential project located in Thane West developed by one of the well-known developers in the city by Lodha Group. A symbol which elevates your status, a perfect blend of serenity and modernity, spacious homes outfitted with best in class apartments for sale in Majiwada locality. Here you will come across 2BHK and 3BHK apartments. 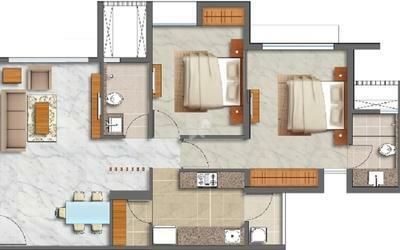 The size of 2BHK apartments is 1260 Sq ft and the size of 3BHK apartments is 1755 Sq ft, 2079 Sq ft. This project offers unparallel spaces where you can spend quality time quality time with your dear ones, the unbelievable views, unbelievable spaces at an unbelievable price. You will find every comfort of a contemporary lifestyle at your command. From luxurious amenities to the conveniences of daily life. A connected life begins here, Being residents of Lodha Codename The Only, you will stay close to well-known localities of Thane city, in addition to this Lodha Codename The Only is well connected through different modes of transportation. Along with all these advantages and apartments in Majiwada, Lodha Codename The Only offers many lifestyle amenities, some of them are Gym, Yoga/Meditation Hall, Jogging Track, Badminton Court, Basketball Court, Tennis Court, Indoor Games, Cricket Pitch, Intercom, Amphitheatre, Swimming Pool, Clubhouse, Multi-purpose Hall, Library and Children's Play Area.